Our entity is involved in providing a comprehensive series of Aluminum Plain Tower Bolt. Experts manufacture this product as per industry norms employing the best quality material and advanced techniques. Vihaan Trading Company A Unit Of Varnit Industries was established in the year 2009. 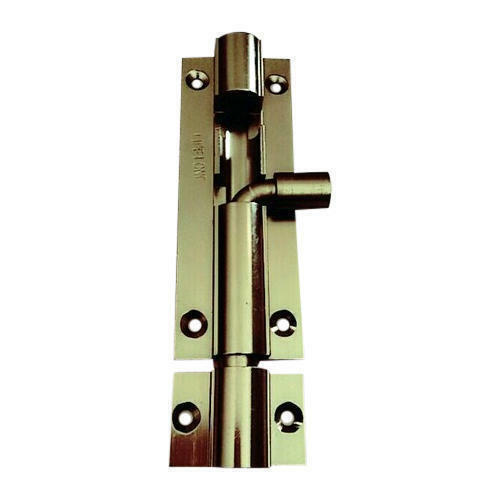 We are leading Manufacturer of Door Hardware & Cabinet Door Handles like Steel Aldrop, Steel Tower Bolt, Aluminium Tower Bolt, Antique Door Stoppers, Antique Door Cabinet Handle, SS Handle etc. Owing to the constant support of our professionals, we are able to offer Installation Service to our valued customers. Our services are carried out by utilizing the inputs from technically sound tools under the quality supervision of our ardent quality monitoring experts.